This service provides complete validation of all core infrastructure computer systems used in production and/or quality systems. Based on an understanding of how software is built, the service documents a process for ensuring quality in business applications, managing the risks associated with potential system failures, and meeting the regulatory requirements for software validation. Emphasis is placed on the common deliverables for computer system validation efforts such as requirements, validation plan, vendor qualification, risk assessment, test protocols, and protocol reports. ERP JDE , SAP, Oracle etc. Software Validation. Determination of the correctness of the final program or software produced from a development project with respect to the user needs and requirements. 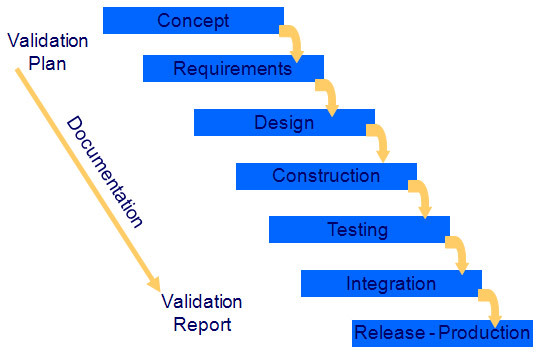 Validation is usually accomplished by verifying each stage of the software development life cycle (NBS). 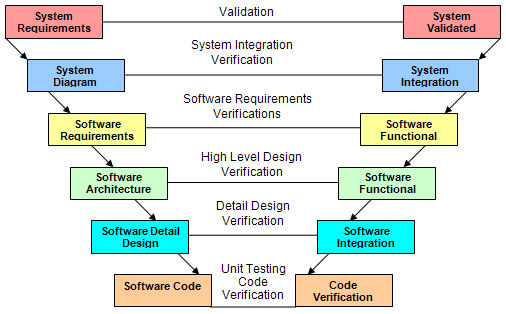 Confirmation by examination and provision of objective evidence that software specifications conform to user needs and intended uses, and that the particular requirements implemented through software can be consistently fulfilled (FDA). Software Verification. In general the demonstration of consistency, completeness, and correctness of the software at each stage and between each stage of the development life cycle (NBS). 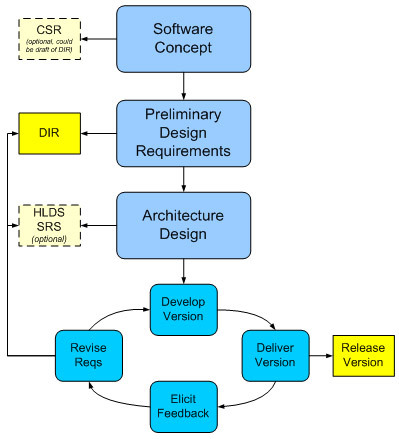 Provides objective evidence that the design outputs of a particular phase of the software development life cycle meet all of the specified requirements for that phase (FDA). Agile Software Development: Agile software development is a conceptual framework for software development that promotes development iterations throughout the life-cycle of the project. Each iteration passes through all the software phases. Refer to Agile Alliance - http://www.agilealliance.org for details. Rapid Application Development (RAD): It is a methodology for compressing the feasibility analysis, planning, design, build, and test phases into a series of short, iterative development cycles. Refer to book by James Martin: Rapid Application Development, Macmillan for details. Spiral model or Evolutionary Development: A model of the software development process in which the constituent activities, typically requirements analysis, preliminary and detailed design, coding, integration, and testing, are performed iteratively until the software is complete. Refer to IEEE-1074-2006 standards for details. V-Shaped Model: Just like the waterfall model, the V-Shaped life cycle is a sequential path of execution of processes. Each phase must be completed before the next phase begins. 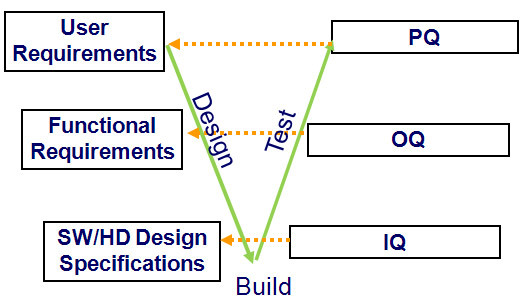 Testing is emphasized in this model more so than the waterfall model though. The testing procedures are developed early in the life cycle before any coding is done, during each of the phases preceding implementation. Refer to IEEE-1074-2006 standards for details. 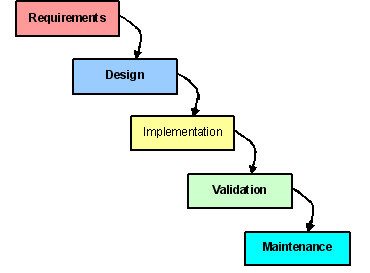 Waterfall Model (IEEE): - A model of the software development process in which the constituent activities, typically a concept phase, requirements phase, design phase, implementation phase, test phase, installation and checkout phase, and operation and maintenance, are performed in that order, possibly with overlap but with little or no iteration. Refer to IEEE-1074-2006 standards for details.